So happy I could help! Thank You, Thank You, Thank You !!! This will help speed up my process quite a bit. I new I could save the head morphs, but I always had to dial the rest. Now I can save my custom characters as Shapes .. save a lot of time !!. One problem I ran into though ... in the same Properties Editor Tab, you have to highlight the new Morph, right click and chose "Auto Follow - ON" to get the clothes to fit. Do this before you save your morph. You're welcome! Glad we could help! 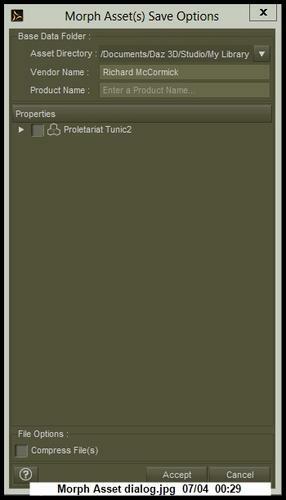 About the Property Editor Tab and 'Auto Follow - ON" I am unfamiliar with it, to tell you the truth. If I click it on, what will happen and if I don't, what will happen? Aah.. found OUT what will happen and I am adding to the tutorial, ustmeNhere! Rkane I created a pdf of this, hope you don't mind. found this better reading as on forum here. Many thanks. 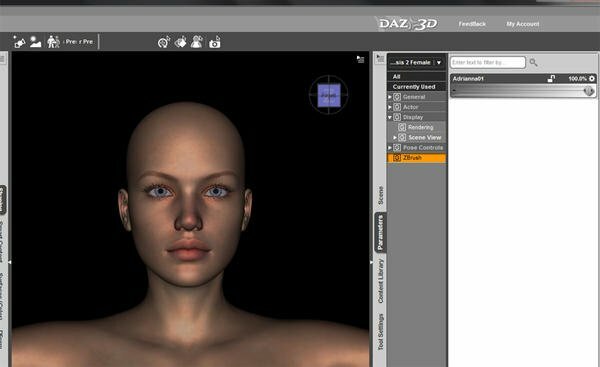 This is probably the best example of a Daz related tutorial that I have encountered so far. Logical, clear, good illustrations and it does not assume that any prior knowledge level exists, which is where so many tuts fall down. I appreciate you saying so! Is there a good modeling strategy when you want to conform a mesh to a different mesh's topology? I have characters in T-poses and I want to port them to other software. Hey thanks for the tutorial but the save has changed. There is no longer a save option for DSF, just found Morph Asset. This is an awesome feature. Honestly, I have never done that. I would probably eyeball it. Cool, cool. I am happy to see you figured it out. Nothing has really changed from the tutorial, thankfully. I just did it the other day and worked fine. I am very glad I could help and thanks for your kind words. Is there a tutorial on creation of a new Figure Morph for base Genesis figure? The main question is skeleton behavior. I can transfer skeleton from initial morphed/scaled Genesis Figure to the new modified Shape through Joint Editor transfer function but it seems to work only with this shape morph. And I cannot figure out a way to save this skeleton transformation with the new morph. I'm not very good in English, so, I might miss something reading/watching existing materials. Any suggestions? PS: I do not have ZBrush but modo 601 and 3d-coat 3.7, so, I cannot use GoZ. PPS: Thanks to Mec4D youtube channel, finally got it working. Is the all morph data kept inside the resulting .dsf file? I mean is such single fbm .dsf file share-ready? Cannot check it myself now. OK---I'm really new to Studio, pretty much a Poser character creator---but I need a quick and dirty way to save a character head morph only---is there an easier way to do that? Without the hoops and bother? I've got her back from ZBrush with no problem, can even find the morph. Now I just need to know how to save her as a character...I didn't change the body any, just the head. Make sure your morph works and then zero it. Support Assets and then choose Morph Asset. A dialog will come up. Your name will go in the Vendor Name, Name your morph in the Product Name box. Then start expanding the Properties and find your morphs name (I always name my morph the same as what I will name it under the Product Name to keep it simple), when you find it just check it off and click Accept and your done. Deselect Genesis and then load up a new instance of her and where ever you put your morph it SHOULD be now listed and usable. If you go to the Properties tab where your newly imported morph will be you can easily customize the morph properties with bar colors and you can even create a sub directory, like GypsyAngel Shapes and so as you build your library of character morphs you can use that as the default and folks will expect new character morphs to land there. 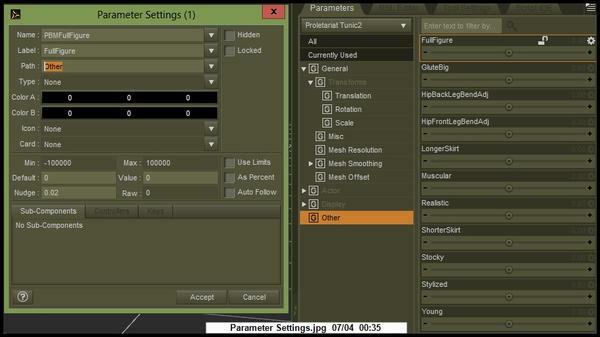 The Parameter Settings dialog screen grab shows the options. To bring up the Parameter Settings dialog please click on the little gear next to your new morph. This will show a drop down menu and click on the first option. That will bring up the Parameter Settings dialog and you can go from there. To change the Path just click on the down arrow and choose a new path. To create a new path, hilight and type in the name of the path you want to create. 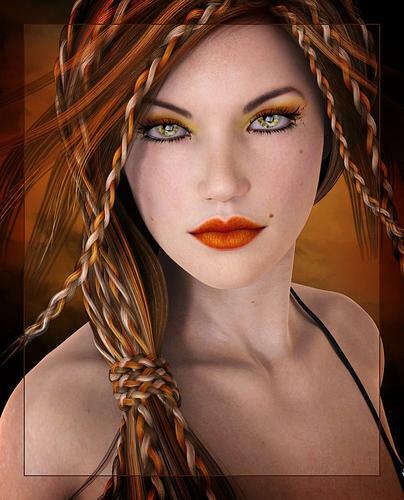 If you need a sub path then just do this: type in GypsyAngel/Head Shapes or Gypsy Angel/BodyShapes. Another bit of info. If it's a body shape then please make sure the Auto Follow box is checked or clothing will NOT conform properly to your new shape. You may as well have that option checked even if it's a face shape in case someone throws a super hero mask on your character. I always have the "Use Limits" checked off and usually set the Min to -0% unless your morph looks good with negative values. And that's about as easy as it gets. Now off to see if I can put this into practice. And even saw the morph---changed the colors like you said to with the little gear thing. And now the morph has disappeared. It's the third one that's done that. I can't find it in Studio. I can go into the folder in My Library and I can find the morph. But it's not in Studio any more. I looked at each individual morph and it's just not there. What am I doing wrong? I'm in tears...I've spent 2 and half days trying to get this to work. Everything that could go wrong, has---ZBrush kept crashing,(*needed to reinstall GoZ because of the ZBrush update last week) then Studio kept crashing. ( I have NO idea why---cranky --- program) Now transient disappearing morphs? One thing I, IF you are working on Genesis 02 Female is that new morphs, for what ever reason, are not being coded with the correct parent address. "parent" ..... "parent" is the line you need to look at. then your having the same issue as I'm having. I changed it to that to test it out, reloaded Genesis 02 Female and there was my morph! If it's not I'm not sure what to suggest. Perhaps send it to me and I can look it over and try to suss out what's going on. Okay ... if I read all this enough times, maybe I won't miss a step. Then again, may be back with some questions. Do I understand correctly that from some information on the 1st page; one can save the rigging information IN with the new morph. So then one can dial up their own new morph just like the ones that we purchase here? That would be so kool. Correct, If you have resized body parts or whatever yo will need to first make sure the rigging is recallibrated and then do an ERC Freeze to lock it in and then save out the new morph. The new rigging info will be written into the morph. Pretty cool! !! YAY! Happy it all worked out for ya! Okay ... I'll be uploading a mini-tut on this topic since I make the pictures anyway to remind myself "how to" .... hope I have the basics right this time. Once upon a time I released something about morphing, then discovered the rigging issue, then tried a saving routine and while it worked the saved files were horrendously large and so part 2 and the first part tutorials I pulled them. So for those who follow my tuts, hoping I've got it the information better this time, felt rather obligated to share the discoveries. I made it in a cooler environment which was offline and so I wasn't able to remember how to spell everybody's names correctly for to place thank you credits ... so "thank you" ... and if I've made another loopie discovery, please feel free to PM me the better information. Going back offline soon, it's way too hot here for the computers. With humidex today, according to reports a friend heard, Fahrenheit about 115. Also please to excuse any little typos, hard to proofread one's own work esp in this heat. Will be in my DA gallery when it's uploaded.